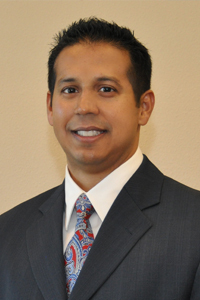 Born in Brooklyn, NY, Dr. Michael Somai first became passionate about dentistry during his local high school education at the Spruce Creek High School IB program in Port Orange, Florida. His manual dexterity skills were manifested during his ceramics and art courses and were made evident in his art exhibits in local galleries. He has since completed his undergraduate studies in Biology with a minor in Psychology at the University of Central Florida (UCF). Dr. Somai received his Doctor of Dental Medicine degree (DMD) from Nova Southeastern University (NSU), College of Dental Medicine. He is certified from the Aligntech Institute to provide Removable Orthodontic Appliances (Invisalign) to his patients. Dr. Somai is also trained to provide Perio Protect to patients with gingival and periodontal disease. Perio Protect is a comprehensive method that is customized for individual patients to help manage oral biofilm with minimally invasive dentistry for lasting oral health. He has completed hundreds of hours of continued education courses and hands-on training in dental implant surgery and restorations from Implant Seminars, Implant Dentistry Continuum. Dr. Somai is very excited about dentistry and loves to further his dental knowledge by taking continuing education courses to benefit his patients’ dental health needs. He is extremely appreciative of his patients and is always ready and willing to care for all aspects of their dental needs. Dr. Somai is married to the love of his life, Navreet, and enjoys spending quality time with his family, getting involved with church activities, racquetball, golf, biking and traveling.